If you’re a fan of Klondike’s Choco Tacos, you’ll love this Copycat Choco Taco Recipe. 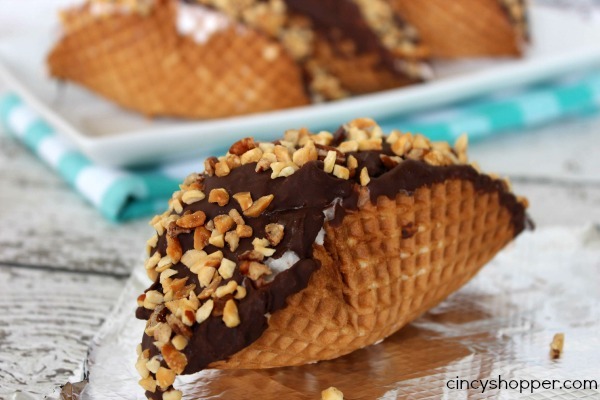 Making your own Choco Taco’s at home is very simple! 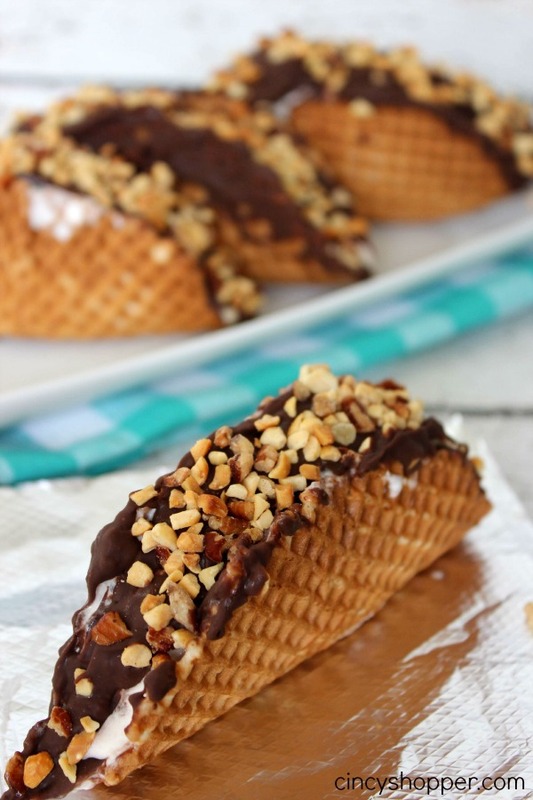 With just a few ingredients you can be in Choco Taco Heaven. My husband LOVES Choco Tacos. I had promised to pick him some Choco Tacos while shopping last week. I felt so bad later in the evening when he was searching the freezer for his Choco Taco frozen treats as I had forgot to buy them. I jumped in the car and made a trip to the store and bought him a box so he could enjoy his Choco Tacos that evening. 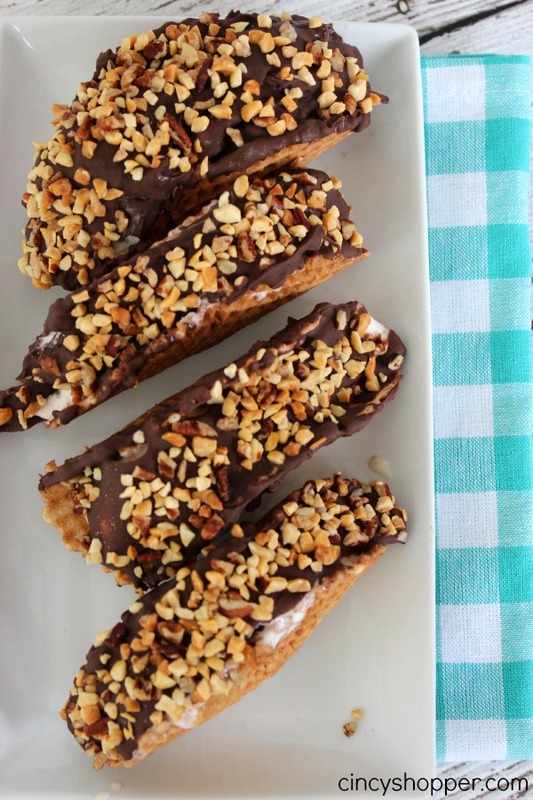 The next day I decide to make our own Copycat Choco Taco Recipe at home. I knew it would be simple, I just had to figure out exactly how to make the taco part! So much easier than I had thought! Waffle Bowls were the answer. After I finished these CopyCat Choco Tacos the hubby was excited to try them. He thinks they were way better than the store bought version. So this recipe is a keeper. I plan to make him another batch this afternoon. I have been finding so many great deals on ice cream lately. Remke has a great sale this weekend and Kroger has a great sale starting tomorrow. 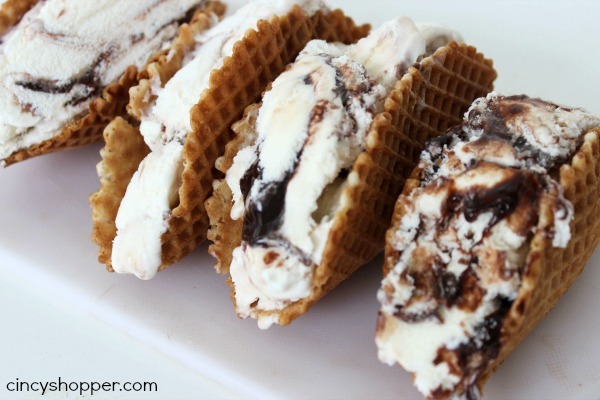 Grab yourself some waffle bowls, ice cream, peanuts and chocolate to whip up a batch of this Copycat Choco Taco Recipe. 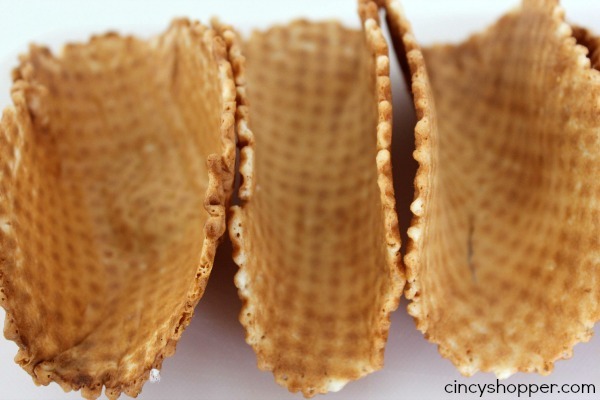 Take waffle bowl and wrap in a dampened paper towel and heat for 18 seconds. At this point it should be soft enough to reshape bowl into taco shape. Allow top cool and harden. Fill tacos with ice cream and return to freezer for 15 minutes to harden. Carefully spoon chocolate over exposed ice cream and edges of taco cone and sprinkle with crushed peanuts. Return to freezer to harden. 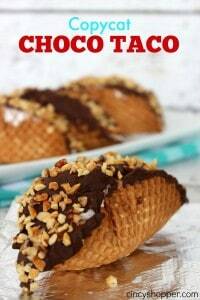 These Choco Tacos will be a hit with adults and kiddos. The peanuts and chocolate combined with the waffle cone and the swirled ice cream are perfect! I wrapped out Choco Tacos in foil and placed them in the freezer. 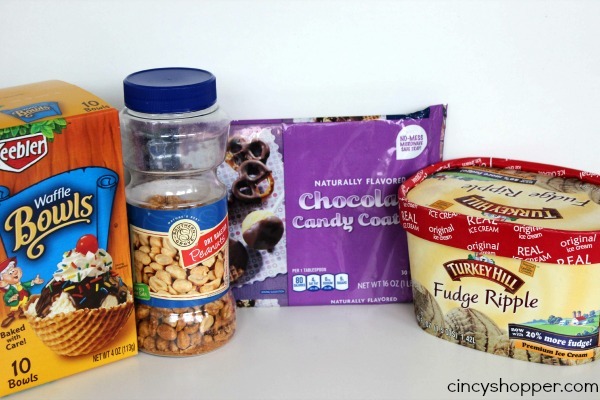 Perfect for everyone to just be able to grab a frozen treat for snack or dessert. Looking for other cold summer treats? Check out our 4 Ingredient Lime Sorbet Recipe, 4 Ingredient Watermelon Sorbet Recipe, or Homemade Magic Shell Recipe for Ice Cream.